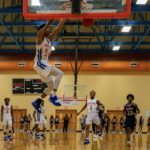 With the school ball season officially over at every level in the state of Georgia, the postseason all-star festivities are in full effect throughout the state. On March 17-18, 2017, Elite Sports & Marketing hosted its 6th annual All-Star Weekend at Albany State University. 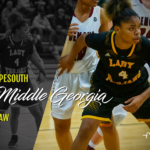 The two day event brought together some of the most talented elementary, middle, and high school hoopsters from Georgia. 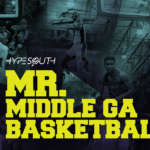 Hypesouth was a part of the media lineup on hand to cover and evaluate the middle school division. Ced Bogan, a Dawson, GA native, led the White Team into battle. He has been involved in AAU coaching for eight years, five as an assistant and three as a head coach. Through the years he has been instrumental in molding the careers of SOWEGA standouts such as David Quimby (Greenforest) and Quentavious Dean (Crisp County). This summer, Bogan will continue to develop young players as he makes his debut as the head coach of the 2021 Atlanta Xpress (Bogan). Allen Watts, a Jacksonville, FL native, guided the Red Team. Watts has been a mainstay on the AAU circuit for over 20 years. Prior to moving to Albany, GA in 2003, he won several Florida AAU State Championships (1998, 2000, 2001) with the Duval All-Stars. In 2008, Watts joined the Albany Elite Program and continues to be a huge youth advocate in South Georgia. As household names such as Collin Sexton, MJ Walker, and Wendell Carter end their prep careers in the state of Georgia and get set to start their collegiate careers at HM D-1 programs, there are a new crop of talented players ready to take the helm. 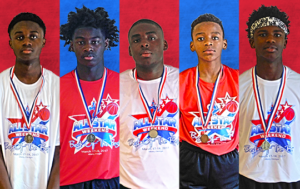 Over the weekend, Darreonte Gainer (Clay County), Justin Carter (Terrell County), Keborian Stephens (Terrell County), TyKevious Curry (Calhoun County), Kavon Johnson (Albany Middle) and Javante Clyde (Albany Middle) all proved to have the athletic ability and potential to carry the torch for years to come. Darreonte Gainer, Justin Carter, and TyKevious Curry will all run with the 2021 Atlanta Xpress (Bogan) this summer. Gainer, is a lengthy guard that handles the ball well and has great court vision. His ability to get to basket along with his high basketball-IQ is very rare for a kid of his age. The smooth guard out of Clay County took home Overall MVP Honors after putting on an offensive clinic for the White Team. Carter, is a 6-foot-5 post takes up a lot of space in the middle and has a soft touch around the basket. Most impressive, were his fundamental skills and attention to detail. The big man out of Terrell County rebounded well and continually kept the ball up high and away from smaller defenders, which allowed him to make great outlet passes and get easy putbacks. Curry, is a two-way player that really gets after it on the defensive side of the ball. In spite of not having a great offensive showing, he managed to hit a huge 3-pointer at the end of regulation to force overtime. Keep an eye out for this kid, he is expected to be the next big time player out of Calhoun County. Javante Clyde, Kavon Johnson, and Keborian Stephens were three players that really caught our attention with their playmaking abilities. Clyde, an Albany Middle product, has a high motor and good skill set. With the White Team seemingly having the more talented players, Clyde kept the Red Team within striking distance the entire game. The hard-nosed guard scored several tough baskets in the paint and connected on his free throws down the stretch. He took home Red Team-MVP Honors after coming up short in a double overtime thriller. Johnson, the youngest of the bunch was an absolute floor general for the Red Team. He got guys into the right spots and made crisp passes. In addition, the sixth grade point guard made timely buckets and showed great poise. Stephens, is a crafty point guard that can distribute the ball as well as score it when he needs to. His razzle-dazzle style of play brought onlookers to their feet as he made no-look passes and acrobatic layups. 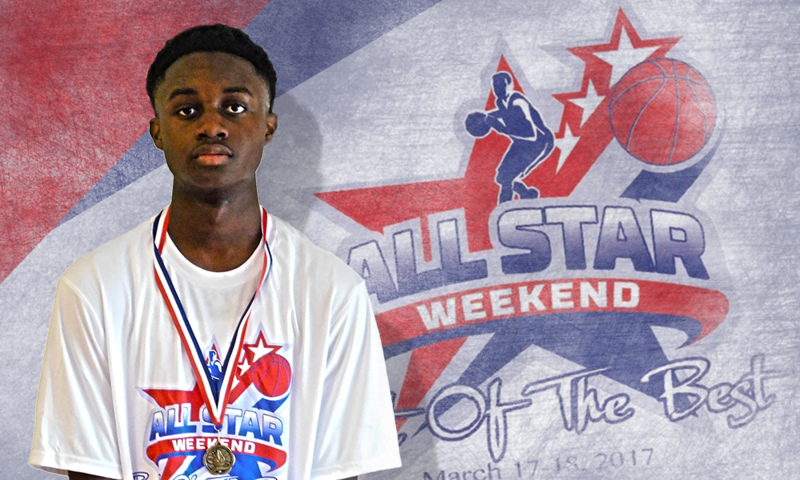 As he continues to develop, expect Stephens to become the next premier guard in the state of Georgia.